How do kids learn and remember? Teacher Andrew Stadel, @mr_stadel founder of the popular site estimation180.com, talks about this pursuit of learning in the classroom. This topic is his summer research topic. As you ponder the classroom, look at what you’ll research to become a better teacher. Richard Byrne, author of Free Technology for Teachers, has some fantastic courses for history teachers and those wanting to learn about technology. Check out http://ift.tt/2lomeMO. What helps kids really learn? To celebrate the end of the first season of the Ten Minute Teacher Podcast on June 16th, we’re running a giveaway. The Dash and Dot robot wonder pack from Wonder Workshop Stay tuned at the end of the show for how to enter. 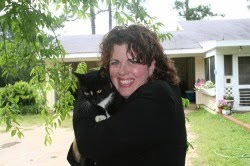 The Ten-minute Teacher podcast with Vicki Davis. Every week day you’ll learn powerful practical ways to be a more remarkable teacher today. ANDREW: Yeah, I feel like I’m just getting on to the road of the beginning of my journey to really dive into the dive into the idea of what helps us learn as long term learners not only as adults but our students too and how can we support them in that. Creating and environment, creating activities and lessons and structures so that they thrive and also are able to remember the content that we teach. I think right now, I’m going to say I’m at the beginning of my journey, there’s two books that I’m just kind of going back and forth with. One of the books is called Make It Stick, http://amzn.to/2rpqu3c there’s three authors on that; Peter Brown, Harry Roediger and Mark McDaniel and that’s just kind of learning the premise is pretty such the science of successful learning. And then there’d David Sousa, I think is how you say his name, I could be wrong, and his is How The Brain Learns, http://amzn.to/2rpz4iI and he has a specific addition on mathematics. So as a math teacher by trade, just thought back of various time in my classroom when kids understand but will not remember a handout or a review packet or some worksheet because there’s really no meaning to it. Yet they would remember the craziest things, if I told a story, I how I used math in life or for example, like you said in Estimation 180 I provided my students with visuals and ways for them to make sense of the world around them so I take pictures of things and ask them to estimate quantities or heights or distances. And I when I would show early estimation pictures at the beginning of the year and then I maybe use them a little bit later in the year or review – it was amazing, it blew my mind away that kids would actually remember some answers or be really close. And I was like there’s something there, there’s something that sticks. And so, I’m a musician – two; music is a form of language and a way for people to communicate, find a communality. And I’m always amazed at how music strikes people differently and how it sticks with people. So as a musician may I’ll listen to the guitar tracks more than the vocals or the lyrics but yet for other people they listen to the lyrics more than me, yet it still sticks. You can’t memorize your favorite song on the first listen, it takes time, it takes repetition, it takes coming back to. And the more I’m reading and learning, it feel like education activities and learning and lessons need that idea that we have to kind of grapple with something at first, there’s something hooky there, you like it but you have to return to it. You need practice on it, you need to be tested on it. So I’m listening to my favorite song and all of a sudden it stops. Could I continue that song on in my head, could I hum it, could I listen? The same kind of goes in education. Like, if the bell rings, could my students continue their thought process, could they continue making sense of what I was teaching that day in math? So that’s what I’m grappling with. VICKI: So Andrew, as you wrestle with this, I mean, we know we need meaningful practice but memorization and boring routine – I mean, isn’t the word boring and the word memorized reviled in education right now? I mean, some people really rebel against repetition. So how can we repeat without being boring? And do we have to memorize? I mean, sometimes we have to, right? ANDREW: Yeah, it’s a good question. If we break those two words down, like, boring is totally relative, it’s objective. Memorization is more a matter of fact but think everybody’s brain is differently wired. So how do people memorize things more than others? It’s such a great question whereas something that I found was engaging to me might not have been engaging to my students, it might have been boring to them. As educators, we could all sit around and joke like – you know, you hear it coming. Like, my hair could be on fire and no one is paying attention kind of thing. Like, we’ve all had those days. So in terms of memorization, yeah, I really want to know more about that because the more experience I got as an 8th grade teacher – multiplication facts were important to me that my students knew them but at the same time the more as I progresses in my craft of teaching it was like, well, what if my kids could just make sense of multiplying? Like kids struggled with 12s, like that’s wired that kids struggled with 12s. It’s totally fine but then for some reason they were fine with 11s. So 5 x 11 kids would just go 55, great. So that can empower that kid to do that and I’d just say, “Look, add five more to that to get your 12th five and that makes it 60.” And that’s empowering and then hopefully that logic sticks and not the multiplication fact. I need to learn more. And it’s like, “Well which is it?” I think that we somehow think that we’re going to get 100% approval form everybody for how we do this repetition. And I think that’s unrealistic. I mean, do you or is it just me? ANDREW: Yeah. I agree 100% and I’ve actually reminded myself of that when I do consulting, when I work with districts, teachers feel like I should come and present them with this overboard and yet we need repetition and we’re going to say, yeah, we’re not always going to have a high of engagement, we’re not always going to be people pleasers, we can’t please everybody. And I don’t think that’s what we need to get into it for. VICKI: Yeah. And I always tell my students, you’re going to thank me when you’re 23. ANDREW: I agree 100% that you can’t please everybody. VICKI: But we don’t want to use that as a cop out either, I mean, I know teachers who are worksheet wonders and they just use worksheets. I mean, have your read enough, Andrew, to know that business as usual, worksheets as usual don’t work? And it’s amazing, like you said, you have a conversation or a story-telling opportunity with your kids and those stick and the learning will actually come out of it. So find stuff you’re excited about and share it with your kids. VICKI: And, you know, teachers, teaching is a relentless pursuit of learning, it’s hard, it’s not easy. There are no easy answers. And I would just encourage you on this motivational Monday, what are you wrestling with now? What are you going to find your books on this summer? What are you going to look into so that you can be a better teacher in the fall because that, teachers, is what truly makes us remarkable? On June 16th we’ll finish up Season 1 of the 10 Minute Teacher. So celebrate, we’ve partnered with one of my favorite robots for teaching coding, Dash and Dot form Wonder Workshop. Go to http://ift.tt/2rZ88GW and enter to win your very own Wonder pack form Wonder workshop and to learn more about how you can use Dash and Dot to teach programming to kids, aged, kindergarten and up. Thank you for listening to the Ten-minute Teacher Podcast. You can download the show notes and see the archive at http://ift.tt/2quX4Nu. Never stop learning. Andrew Stadel is a Digital Learning Coach for Tustin Unified School District in California, working with secondary math teachers to use and implement technology in meaningful ways to enhance the teaching and learning of mathematics. Andrew is the creator of Estimation 180, http://ift.tt/1dVJzbZ, a website designed to provide students and teachers with daily challenges to help improve their number sense. The post What helps kids really learn appeared first on Cool Cat Teacher Blog by Vicki Davis @coolcatteacher helping educators be excellent every day. Meow! Today Connie Hamilton @conniehamilton gives us five ways to connect with our students over the break. This is the number two episode of 2017. Listen to it now and plan ahead for by picking one or more of these ideas. The 40 Hour Workweek is a fantastic program with Angela Watson. Check out the program and learn more efficient ways to teach so you can work less and get more done. Stay tuned to the end of the show to learn how to figure out if my friend Angela Watson’s 40 Hour Workweek Club is right for you. Do you want to start next school year ahead? Well, pick one of the five ways to connect with next year’s class and for the summer. This is Episode 95. She’s the author of Hacking Homework. http://amzn.to/2r6E1K9 But we’re actually talking about hacking your summer right now. Connie, you have five ways that we can connect with next year’s class over the summer. So how do we start? CONNIE: Well, the first thing is to get a survey out to those kiddos as soon as possible. So if the school year hasn’t ended yet, get an interest survey out for students to find out what their likes are, what kinds of crazy pieces of information, tidbits that maybe the average person wouldn’t know. Collect as much information about students as possible. And try to keep it lighthearted and personal, not so much of the, you know, what are your goals for the school year kind of teachery stuff. But this is really a way to create some relationships with kids. It’s easy to do just kind of – paper pencil is one way you can do it, you can create a Google form and use a QR code; lots of different ways. But first thing is, gather a survey so that you can get a lot of information about kiddos. Maybe you learn that – maybe you have a student that builds motorcycles. And so then you can use your summertime to look for ways within your natural curriculum to make connections to building things or problem-solving. And so maybe when you get to a problem-solving section of your curriculum, you might go to that student and say; hey, when the bike doesn’t work, how do you go about fixing that? What is your process for solving that problem? And try to make some personal connections. So when you know what students’ interests are, you can look through that curriculum and try to find some of those connections. VICKI: Fantastic. Because we have to relate before we can educate or innovate or create, or anything we try to do in our classroom. Okay, what’s next? CONNIE: Next one is to set up a remind and invite students to take part of that. If you have younger students, invite parents so that this is a really easy way for you to make connections with one little click of the phone. So set up a Remind, https://www.remind.com/ and maybe you do a weekly countdown of, hey, we’re getting excited for back-to-school. Or, hey, we have this event that’s coming up. And that kind of leads me into the next one. VICKI: Cool. Well, I actually use Bloomz www.bloomz.net for that. And it’s a fantastic idea to set that up. Instead of the first week, why not set it up a little early? I love that. Okay, what’s the next one? CONNIE: So the next one is to set up just some times to get together in some places. And I think it’s really awesome to set up a little meet and greet or a gathering, something really casual, but off campus if possible. It’s fine to have kids meet on campus or at the school, but why not have younger kids meet at a McDonalds with a play land or at a local skate rink. Or if you have older students, maybe you find a place that has a really awesome lunch buffet and invite kids to come and have lunch with you a couple of times a year. So the reminders can set out through Remind or through – what did you say you use? Bloomz? VICKI: I use Bloomz, B-L-O-O-M-Z. They have some similarities and differences, but it’s still just a tool to connect with kids. CONNIE: Yeah. So super easy. Hey, don’t forget next Thursday; we’re meeting at such-and-such. We’re meeting at the park; I’m bringing popsicles. Or, hey, we’re meeting at the coffee. Just finding a place to have casual meetings. I think a lot of times, teachers try to – maybe, hey, let’s meet at the library; which is a great idea as well. And in this way, I’m just suggesting that maybe you make it a little bit lighter over the summer and just make your focus to be establishing relationships, and then you can make connections academically later. CONNIE: Yeah. Definitely. So do it once. Just do it once. And make it a place where you want to go anyway. So if you love Starbucks, then have it at Starbucks. If you have a favorite spot outside that you like to sit and enjoy the weather, make it there. Make it at a local park. Put it someplace that’s convenient for you and that you would choose to go anyway. VICKI: Yeah. Okay, what’s our fourth? CONNIE: Fourth one is going back to snail mail; sending out postcards. So while you’re gathering with the students, take selfies when you’re with them. And then it’s super easy to print out 4 X 6 photographs of those selfies. And those 4 X 6 photographs can serve as postcards. So you can send the postcard to students afterwards saying, hey, thanks; it was so great to see you, and can’t wait to see you again at open house. Or, thanks for stopping by, I really loved hearing about such-and-such that you told me. But I think students get so little mail in the mailbox. Everything is so digital these days. And especially the little kids, absolutely love getting a piece of mail with their name on it. So using snail mail. Postcards are cheaper than letters. So that’s why I suggest a postcard, and utilizing the pictures that you take, the selfies with the kids. VICKI: Well, and you’re really talking about winning their hearts before the first day. VICKI: That’s what you’re talking about; which does make your year go easier. I know the thought of work over the summer, but really it does if you’ve already got that relationship. Okay, what’s our fifth? CONNIE: The fifth one is making phone calls. Making that connection, picking up that phone and just having a quick little conversation, or leaving a voicemail for students, but reaching out to them. Or if you have younger students, reaching out to their parents. And potentially setting up some reverse conferences where this parent is the one who tells you all about his or her child as opposed to you telling them all about how their child is engaging in the classroom. So I love it when teachers set up reverse conferences at the very beginning of the year or even the very end of the summer. And I know sometimes that that definitely can be a whole lot of time. So that might take some convincing of your administration to say, hey, I want to try something a little different here. But, boy, you want to talk about setting up a great rapport with families and parents right out of the gate to say, I just want to hear everything that you have to tell me about what’s so awesome about your child, and I’m going to take notes like crazy and use that throughout the year to make connections and make sure that I’m personalizing and differentiating for your student. VICKI: Love that. And as we finish, I just want to add another little one. A lot of times, when I go to ISTE www.iste.org or conferences over the summer, I like to have a friend hold my phone and record a quick video and say, hey, I’m looking at this; I’m at this conference; I’m getting ready to teach you in the fall, and I’m really excited about this or that. And then sending them that video so they kind of get excited about what’s new or what’s different. I mean, there are so many creative ways, teachers, that you can really go into the school year ahead with a positive connection with those parents and kids. And Connie has given us so many ideas. I just challenge you; try at least one, or try two, or you could go for all of these ideas. But pick a way to relate and a way to connect to these kids so you can start off the year ahead and make it a remarkable year. This month, Angela Watson’s 40 Hour Workweek Club will open up for membership. And she only has two opencart dates a year. 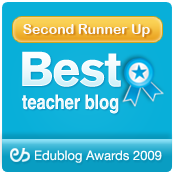 Now, I’ve been participating for a year and I have learned so much about classroom efficiency. But, it’s not for everybody. So I’ve got a link for you to a quick quiz that will help you understand if the 40 Hour Workweek Club would be right for you. Just go to http://ift.tt/2qVh0wn and take the quiz to see if the 40 Hour Workweek is right for you. Connie Hamilton Ed.S. is a K-12 curriculum director in Saranac, Michigan where she has served the staff and community for the past 13 years. As a teacher, Connie taught various elementary grades and 8th grade ELA. As a national presenter, she provides professional development and coaching for teachers around many instructional topics such as questioning, assessment, literacy, and leadership. The post 5 Ways to Connect with Your Students Over the Break appeared first on Cool Cat Teacher Blog by Vicki Davis @coolcatteacher helping educators be excellent every day. Meow! Linda Kardamis @LindaKardamis shares five mistakes teachers make the first week of school. Remember that January is a fantastic time to “reboot.” So, if you made one of these mistakes, work to start over and correct those mistakes. This is the number three episode of 2017. Today’s episode is sponsored by JAM.com, the perfect last minute holiday gift for your kids or grandkids. The creative courses at Jam.com are project-based, creative and FUN. Use the code COOLCAT50 to get $50 off your course. And remember that you can sign up for a 14 day FREE trial of any course with your child aged 7-16. Drawing. Minecraft. Legos. And more! Use the code COOLCAT50 for $50 off the cost of the course. VICKI: So today we’re talking about five mistakes that teachers make the first week of school with Linda Kardamis @LindaKardamis from Teach 4 the Heart. And I have to give a hat tip to my friends at Sherwood Christian Academy because they told me about Linda. So Linda, let me understand and help all of us understand, what are the five mistakes that we do not want to make that first week of school? LINDA: That first week of school is so important and that first mistake is just that, the first mistake is not realizing how important the first week of school is. So sometimes you just think, “Oh, I’m going to jump in, I’m going to be excited” but you don’t realize how important it is to set aside time to really teach your procedures, to establish structure and really make sure that you have all your docs in a row. Because if you make mistakes that first week of school it can really derail the rest of your year but if you start out right it’s really powerful. TIP: Work to be memorable. If you want some of my procedures, read Tips on Starting the School Year. Also, our guest, Linda Kardamis, has a Back to School Webinar to check out. VICKI: It’s usually what did you do wrong. Okay, what’s the second one? LINDA: The second one is expecting good procedures to just happen. Sometimes teachers make two mistakes underneath this one, sometimes we don’t think through our procedures, so we just think, “Oh, we’ll just go to the restroom” without thinking, “Okay, I need a plan for how we’re going to go to the restroom.” The other mistake is just tell your students your procedures. So instead of you just tell them, okay, here’s what we’re going to do, we’re going to pass in our papers. Instead, you actually have to practice it with them. And I take it a little further, I say don’t just practice. If someone does something when you’re practicing it kindly correct them, be very encouraging and then have them redo the part that went wrong. And if you do that then your students will have amazing procedures. It will take time in the beginning but it will pay off the whole rest of the year. VICKI: And my sister who was a teacher for many years said you can never be tougher than you are that first week. And that’s really the time we’re trying to teach, isn’t it? VICKI: Okay, what’s our third? And so I learned to address small issues the first week of school. And I learned that that doesn’t mean you have to give a consequence but it does mean you have to address it. So even something really simple like, “Greg, we don’t run in the classroom, please step back outside and come in calmly.” Just addressing them instead of letting them go is huge because it’s sends a strong message to our students that procedures matter, we mean what we say and we’re here to focus and learn. VICKI: And procedures actually give us a lot of freedom to be creative. Because I know if I didn’t have my procedures in my classroom I would be focusing on the little things and not being able to do these other exciting things, you know? LINDA: Right. And I really believe that those first few weeks of school, if you can focus and put on the work of establishing the procedures, establishing structure, then you’re able to do fun stuff the whole rest of the year whereas if you sometimes jump in on the fun stuff before you have your procedures established, then it’s like a right the whole year and you’re not able to do as much as you want to do. Then you can do, like you said, so many fun things you can do with your class. Work to establish the procedures and practice the procedures. Sometimes the little things can become much larger if not addressed at the beginning. VICKI: Okay, what’s our fourth? And when you’re that type of teacher you gain their respect and they actually often even end up liking you. VICKI: I always tell my students you’re going to thank me when you’re 23. That is my goal. That’s when I want them to like me. Not now, because they’re kids and I love them. But kids are kids. Even us adults we make mistakes. And I love the idea of redemptive teaching, of trying to help kids to be able to turnaround that attitude. And also, though, if look at Hattie’s research, the number one thing is teacher expectations. I was telling somebody the other day. If a teacher says these kids can’t learn go ahead and take them out of the classroom and don’t even waste your year because whatever the teacher believes is what they’re going to receive from those kids. READ: Hattie’s Relative Influences – “Teacher Estimates of Achievement” are at the top! And remember, you have to have strong expectations of achievement of both your students AND your ability to teach them. What kind of year do you EXPECT to have? Work on your expectations before you show up for work. Your expectations work for you far more than you can understand. If you can raise your expectations, you can raise achievement. This is especially important for students in poverty. Listen to Dr. Anael Alston about Poverty and the Soft Bigotry of Low Expectations. VICKI: Okay, what’s the fifth? LINDA: The last one is just not being prepared. Do you know what you’re going to do when a student blurts out an answer, then they get up and wander around the room, if they use profanity or any other classroom issue. My first year I didn’t have a plan and because I didn’t I lacked confidence. And so, when these things inevitably came up I did nothing and we already talked about when we did nothing. So, it really helps to have a plan ahead of time. I even recommend writing it down. And you will talk to other teachers, read blogs, do whatever you need to do but come up with a plan, even if it’s not the best plan in the world it’s better than no plan because if you have no plan at all you’re going to freeze and not know what to do. But if you have a plan it will really help your confidence and your students will be able to see that. VICKI: And you know, I feel like I have a plan for almost everything but I’m going to give you one of my problems. So I love having classroom conversations but when the kids get excited they over-talk each other and then sometimes they’ll even do it to me. And I teach older kids so the stuff that works with elementary kids is kind of demeaning for the older kids. So, Linda, do you have an idea for me? LINDA: When the students are talking they start talking over the top of each other? VICKI: Yeah, they’ll start talking over the top of each other and then if I don’t stop it then they’ll do it to me and I just can’t stand it because I feel like each person needs an opportunity to be heard. Sometimes your extroverts will do this more often than your introverts and it can really make it difficult for those introverts to be heard. LINDA: Yes. Well, one thing that comes to mind is – Michael Hyatt talk about this all the time and he has the rule and it’s just we have one conversation. He does this even at his dinner table. And obviously this does take a lot of teaching of the procedure but he just basically says we always have one conversation, in other words one person is talking. If someone else is talking, kind of just teaching them to let the other person finish first. And just not to break into those side conversations. LINDA: Because I know that’s where often where things happen is two students will start talking on the side and then they’ll draw someone else in and like you said, soon everyone is having side conversations. But if you kind of create that expectation that we’re having one conversation, everyone participates in the one conversation and not the side conversations maybe that will help a little bit, I’m not sure. That’s how best I can come with on the top of my head. We’re going to include in the show notes a full webinar that you do, Linda, one the five mistakes teachers make the first week of school. LINDA: Yeah. If you go to http://ift.tt/2vdDEDl you will be able to sign up for this training. There’ll actually be a video [replay] so you can watch it on your own time and get all your tips. We just go into this in much more detail and then we talk about how to correct them and how to start the school year right. VICKI: Teachers, get out there and be remarkable and don’t make these mistakes. So I’ve gotten some great advice and I even got some advice for the thing I’m studying on this summer which is – I love this, I love Michael Hyatt too, having one conversation. I really like that. And that will be on my list. And you can see how all of us have something that we need to improve on every year. It’s part of being remarkable, it’s part of improving. Linda Kardamis provides practical advice and Biblical encouragement for Christian teachers on her website Teach 4 the Heart (http://ift.tt/1B5AEVi). She is also the author of Create Your Dream Classroom (http://ift.tt/2vdfzwx) and the creator of Classroom Management 101 (http://ift.tt/2w5tMIa) and Teach Uplifted (http://ift.tt/2vdh5yz). The post 5 Mistakes Teachers Make the First Week of School and How to Fix Them appeared first on Cool Cat Teacher Blog by Vicki Davis @coolcatteacher helping educators be excellent every day. Meow! Today Alice Keeler @alicekeeler shares the must-try new features of Google Classroom. She also teaches us how we can learn Google Classroom features and hacks even when we don’t have students. A must listen for people using Chromebooks or Google Classroom. This was originally aired over the summer but mentions many features that many people haven’t tried yet. If you’re into Google, take a look at the 100+ Google Resources for Classrooms. 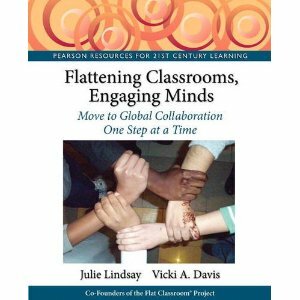 The Ten-minute Teacher podcast with Vicki Davis. Every weekday you’ll learn powerful practical ways to be a more remarkable teacher today. And, Alice, you know, there’s some features or some awesome things in Google Classroom http://ift.tt/1zvDpJP that teachers really kind of need to get familiar with over the summer. But how do we start? I mean, how do we know what to look for? Because there’s so much in Google Classroom? ALICE: There is so much in Google Classroom, and at the same time there is so little in Google Classroom; which is really the genius of Google Classroom is that it’s so simple. So the first thing to look for is three dots. And that’s really true in any practice. I mean, you get excited when you see a tiny triangle or three dots, because that’s going to tell you there’s more features or more things to look at. So when you create an assignment in Google Classroom, one of the things you’ll notice is up in the upper hand corner of that assignment are three dots. Now, this is a nerdy brag. When you click on those three dots, the bottom option on there is to copy link. And that was my idea. And so, of course, I think it’s a really good idea to help explore Google Classroom because it allows you to connect outside of Google Classroom a little bit more easily. If you’re not strictly using Google Classroom, that’s how you can combine, say, Schoology and Google Classroom is by copying the link from the assignment and pasting that link into, say, Schoology or whatever other platform you’re using. Or, when you want to send out an email or invite others to look at it, that copy link is really perfect. And it also loops students right back into like, hey, let’s come back and look at this assignment again. One of the things that we noticed is that students perceive a lot of their work as busy work. Well, it’s not busy work, but why do they think it is? Because we do the assignment, we get points, and then we move on to something else. And, really, with the logistics of paper, that’s how we had to do it. So when you look at Google Classroom like, how can I keep coming back? How can we make this a cycle of learning, that students feel like they have an opportunity to make a mistake, get some feedback, and come back and work on it some more? Because students really do want to learn. So a great way to do that is to copy the link to an assignment that students have worked on and later ask students to go back and revisit it, now that feedback has been posted. So look for those three dots in Google Classroom as places where you can get more options. ALICE: The other thing is in Google Classroom, in the bottom left-hand corner is a little question mark. And when you click on that question mark, it says some awesome things. It says, what’s new? That’s the very first thing. So if you want to know new things to explore, Google makes it really easy for you to find some new features and things for your trial. But I have to warn you; a lot of things are kind of hidden and they don’t announce them, and they’re just kind of sneaking a few features here and there. And all the features are always teacher-requested. VICKI: Shameless plug here. Tell us where we find out your Google Classroom resources. Because I’m telling everybody they’re awesome, so it’s not a shameless plug; it’s really worth it. ALICE: Thank you. Appreciate that. Well, first, obviously, I have books. So if you go on to Amazon and look up either Google Classroom or Alice Keeler, I have 50 Things You Can Do with Google Classroom and 50 Things to Go Further with Google Classroom. But if you just go to my website, alicekeeler.com, right up at the top, I have a link that will filter for my Google Classroom posts. Or you can go http://ift.tt/1WdEMJh. VICKI: Cool. Okay, what other features do we need to try out or learn this summer? ALICE: I’ll tell you; my new favorite thing, really, is the return count in Google Classroom. Now, it’s been a feature on the app for a little while, but they finally brought it to the desktop version or the Chrome version. And so what you see is it says done and not done when students have or haven’t completed work. But now when you return work, it now shows you the number that you have returned, the number that is done, and the number that’s not done. And why that’s particularly awesome is I don’t use Google Classroom to save trees. I didn’t get into teaching for trees; I got into it for kids. And so what makes learning better is feedback and interacting with students. And the faster I can interact with students, the more motivated they are, the more they care about my class. So when I return work, I know that I’ve looked at it, or I’ve at least seen who’s done something, whether or not I’ve graded it or not. If students look at it after that point, then it’s marked as done, and it counts on the done count. So I know that those two students, if the number was two for done, need to have that worked looked at. And it’s not mixed in with students I’ve already looked at. That was always a little bit of a frustration; I look at a list of student work, and then I have to try and figure out later, well, who’s done it since I looked at it? So if I return first, I can click on that too and it shows me only those two students who have done it since I last looked at it. And that helps me to respond to students faster. And that makes learning better. VICKI: Oh, and it just makes life easier, doesn’t it? ALICE: It so does. So when today they ask me, why are you returning this? Because I’m telling you; I have seen it, I looked at it, I care about it, I’m not ignoring it. VICKI: Awesome. And then you can have that back in fourth. Because, honestly, I mean, when teachers grade a first draft, I kind of wonder, well, what’s the point? Because the real learning goes on between draft one and draft seven or eight or nine, you know. ALICE: So true. Hands down; my favorite feature of Google Classroom is private comments. And I notice a lot of teachers aren’t aware that that’s there. So the way to find it is to click on the assignment title of any assignment, and on the left hand side you’ll see a roster of students, and click on any student’s name, and you’ll see on the right hand side is a place to do private comments. But, Vicki, it’s not a comment; it’s a conversation. And that’s where learning really happens, is when students interact with you. And let’s look at the research. Really, one of the most important and valuable things in the classroom is a highly qualified teacher. And so when you are interacting with students, that is going to be some of those things that really impact learning the most, because, again, it’s a conversation not just a comment that I’m writing on the side of a kid’s paper. And that allows students to say, I don’t understand this, or can you explain this further, or for you to give some really detailed information that students can then build on. VICKI: I did not know that feature was there. So do we have any other features that you think they should try this summer? ALICE: Well, there’s a new feature that I just discovered. And, again, I’ve mentioned there’s like some little hidden things. So when I go into the question mark and it says what’s new, this is not on the list. In the class comments; so when I post an assignment, what’s really cool is that we’re able to be a community of learners. The burden of feedback is not always on me. When a kid asks a question, he can ask the class. So there’s that class comment on every assignment where students can write a comment or a question or something like that. Now, when you hover over another student’s comment, a little reply swoopy shows up. And when you click on the reply swoopy – I don’t know if that’s a technical word; so it’s called a plus mention. And you can do plus mentions in comments in Google Docs and things you’ve been able to do that. And it’s lesser known maybe in Google Classroom. But it puts plus, and then that person’s email address for you so that the reply is directed towards that specific person who posted the question. Now, it’s always been an awesome feature, but my problem always has been, I don’t have everyone’s email address memorized. So how do I do a plus mention when I don’t know their email? So this has now solved that problem for me so nicely, is when I see a comment, or when a peer sees a peer’s comment and they hover over the comment in the class comments, the reply swoopy will automatically add the plus mention. So another great way for us to continue interacting. VICKI: So as we finish up; you know, one of the challenges that teachers have is they want to play with these features over the summer, but they don’t have a class to play with. Do you have a solution for that? ALICE: That one is a toughie. But, you know, we all have a hobby or something we’re interested in, and a new feature in Google Classroom is now people can create a classroom with Gmail and people can join classroom with Gmail. Now, that means it’s @gmail.com. Even though our school accounts are Gmail accounts, they’re not @gmail.com accounts. So go to gmail.com and log in and then go to classroom.google.com; and if teachers would create a Google Classroom through their Gmail account, they can actually invite peers and friends, just people on Facebook that they know, to say, I’m doing a little training, just trying some stuff out over the summer, who wants to join in. And so now all their friends can try it out with them in a safe environment, because they’re not damaging kids trying to figure something out. I’m just joking; of course, you wouldn’t be damaging kids by trying something out. Try something out. But you’re not doing grades and some new things on that. So using the Gmail account is a really nice way over the summer for teachers to try out some new assignment types with people they know and love. VICKI: So we’ve gotten lots of wonderful ideas of things to try. We’ve got a new resource for you. I’ll put her books in the show notes. Follow Alice Keeler. I learn from her. She’s kind of my Google Classroom go-to person. So we’ve given you lots of ideas for the summer. So get out there, try some new things, and be remarkable. VICKI: On June 16th, we’ll finish up season one of the Ten-minute Teacher. So to celebrate, we’ve partnered with one of my favorite robots for teaching coding – Dash and Dot from Wonder Workshop. Go to http://ift.tt/2rZ88GW and enter to win your very own Wonder Pack from Wonder Workshop. And to learn more about how you can use Dash and Dot to teach programing to kids, aged, kindergarten and up. Disclosure of Material Connection: I mention an affiliate in the podcast episode. I am disclosing this in accordance with the Federal Trade Commission’s 16 CFR, Part 255: “Guides Concerning the Use of Endorsements and Testimonials in Advertising.” This company has no impact on the editorial content of the show. The post Google Classroom Top New Features to Learn with Alice Keeler appeared first on Cool Cat Teacher Blog by Vicki Davis @coolcatteacher helping educators be excellent every day. Meow! Want to help students learn and be more refreshed? Students need breaks too. That is why brain breaks are becoming so popular. Teacher Rob Donatelli @DTown_MrD talks about the brain breaks phenomenon. Then, Rob gives teachers five ideas he uses in his classroom for brain breaks. Take a brain break today! The 10-Minute Teacher started on February 1 of this year and already has over 419,000 downloads! Thank you to all of you who are listening to the show. If you like the show, would you go to http://ift.tt/2kUj6sv and leave a review on the 10-Minute Teacher on iTunes. Thank you very much for helping other teachers find the show. Bloomz is sponsoring today’s show, they are my favorite tool for engaging parents in the classroom. And at the end of the show I’ll tell you about a free webinar they’re sponsoring where I’ll teach you five habits you can start now to help your classroom thrive in the fall. Stay tuned to the end of the show. VICKI: Happy Five Idea Friday. Today we’re talking about engaging brain breaks. So today we have with us Rob Donatelli. Rob, what is a brain break? ROB: Well I will say that a brain break is an opportunity for the students to take a break from the higher level processing of learning to really just kind of calm down, relax the brain, have some fun and refocus that brain. So when a teacher gets back into learning at a higher level, the students can really refocus themselves and retrain their brain to learn at their highest potential. VICKI: You know, we just can’t keep going full-till, can we? If an interstate is at a 100% capacity it doesn’t move, right? ROB: Absolutely. And these students today – you know, when they come in our classrooms they come in with so much outside noise going on whether it’s Snapchat or their Instragram or what happened in the hallway. So if we can’t hook our students either at the beginning of the class with just something fast such as a story about what’s happening in the world or a joke or a quote or some sort of brain teaser to hook them in and to really get them going – that’s one of the best way to calm that mind down and get them ready to learn for the day. VICKI: Okay. So what’s our first easy brain break? ROB: All right. Here’s a really easy one that I actually just did yesterday. So you split the class, let’s say you have 30 students in your class and you have 15 in 15, you split them up. And what they do is they’re going to do a backward race through the room. So if you have two sides and my room is set up in pods, I have 8 different stations, 4 students at them. And what they have to do is they have to race backwards through zigzagging through the desk and they cannot touch a chair, they cannot touch a desk when they have to go back. And the students look at you kind of like you’re crazy at first. It’s a lot of fun when you get the whole class involved. VICKI: Wow. Although it sounds like it’d be dangerous in some way. So I guess that kind of helps them just reset their brain. ROB: Absolutely. [Indiscernible 0:02:47] it really just kind of helps the blood flow, the dopamine which really helps them refocus to get back to the learning. VICKI: Okay, Rob. So what’s your second idea? ROB: Second idea is to get the students to just get up – and I don’t think students today have an opportunity to just kind of talk and speak and learn those soft skills. So the second one is called 60 second pitches. And you present the students with an example of something like, “Sell your team or a few people on why homework is bad for your health.” And you put a timer up on the board and one student at the time has to speak for 60 seconds on why homework is bad for your health. And they’re not allowed to stop talking. So it really forces them to think through a problem. And students love it, it practices their soft skills, they get to work on their public speaking. So 60 second pitches is our second one today. VICKI: Cool. I know you just do that to each other so you’re not waiting for everybody to get through their pitch. ROB: Correct. They just do that to each other. VICKI: Cool. Okay, what’s our third? ROB: The third one is – when you want them to do just a really quick one you have them stand up and this one is called named three things. So I have them sometimes do a best of five because it goes really quick. And for example, I’ll have them faceoff against one person and I will say, name three fruits. And if you and I were doing it, we would say apple, orange and banana. And if I beat you then I won that round. And I’ll put up all kinds of crazy stuff. I’ll say name three brands of shoes. I’ll say names three states in the United States. I’ll say name three countries. And they just have to spit out, it’s really quick, it’s really fun processing. I love that one. And the kids always really get into it and get super excited. VICKI: Oh fun. Okay, what’s our next? ROB: So actually last week I have long tables in my pods that we have and I went and bought some Ping-Pong balls, I was out at the Dollar Store. And I thought, “Man, wouldn’t it be fun if we took their cellphones and they played ping-pong against each other on the tables just for two minutes?” So in their baskets at their pods I had ping-pong balls in there and they actually used the back of their smartphone to hit a ping-pong ball across the table and they played ping-pong with each other. And what gets really competitive, it only takes 2 minutes, 3, minutes, usually say till 5. And it just works on those motor skills and kind of lets them decompress from all the info that we’re learning through our class. VICKI: What a blast. That sounds like so much fun. Okay, what’s out last one? ROB: Our last one is, if you have a bag of pennies, maybe a bunch of pennies laying around and you want to put them to good use, nobody today really likes carrying around pennies. I keep a bag of pennies in my room for the penny arm flip. And what I like to do is I put a timer up on the board for a minute and the students have to put a penny on their elbow facing up towards the ceiling. And when they move the arm down, they try to catch the penny. And it sounds really easy but it’s kind of tough if you don’t do it really quick. And I challenge the students to see how many can you get and if they can beat me in 60 seconds. And it turns very competitive, some can do it, some can’t. But there’s definitely always some laughs that go around and it’s a really enjoyable just quick, brain break 60 seconds. VICKI: Okay. So Rob, let me ask you this, what happens when somebody comes in and observes your room and they think you’re playing? ROB: Interesting question. We actually went from a model; last year we were teaching 42 minutes and now we’re teaching 68 minutes in trimesters. And we were encouraged by our administration to really come up with some brain breaks because you want to able to chunk that information. If the student is sitting there for 68 minutes just getting lectured to or doing a project, they’d really have a hard time. And we know that through research focusing even after 18 to 20 minutes. And so our administration is very encouraging to allow us to do these brain breaks and to challenge our students to be creative and get up and engage with each other. So it’s been really cool to have the support from that standpoint. VICKI: Okay. Here’s your brain break, Rob. Pitch all of the teachers out there listening for 40 second, why does every classroom need a brain break. Go. ROB: Every classroom needs a brain break because the students are inundated with so much noise. And what the brain break allows students to do is really just take a break from all of that knowledge that is getting cramped into their brain, through lectures and projects and discussions. It also improved their motor skills, creativity skills, teamwork skills, skills that allow you to build those soft skills with handshakes and talking to one another. And then a day and age where our students are so inundated with their technology and they’re on it all the time. It really is fun to have them engage with one another in a fun and enthusiastic and creative and interesting way. VICKI: Teachers, to be remarkable we need a sensitive venture, we have to shake up routine. If they’re doing the same thing everyday the same way all the time – and part of that we have because of our classroom procedures. But we do want to kind of mix things up and break the routine and make things novel and exciting and remarkable. ROB: Absolutely. And if I don’t do this, Vicki, they’re begging me, they’re wondering at the end of the period when are we doing a brain break? So it’s really transformed the classroom and brought a level of energy that was missing in years passed. VICKI: Thank you Bloomz for sponsoring today’s show. It is my favorite tool for parent engagement in the classroom. Just go to bloomz.net. Now, they are sponsoring the April free webinar on Thursday April 27th at 6pm Eastern. I’ll be sharing five habits you can start now to help your classroom thrive in the fall. There are things you can do now to have a better classroom. So join me by going to http://cctea.ch/bloomz-spring to register for the webinar. Or just go to the show notes are http://ift.tt/2quX4Nu for the link. Rob Donatelli is a business & computer science teacher at Dallastown Area High School. He is also the founder of the Donatelli EdZone. His passions include school leadership, education technology, presenting, entrepreneurship, and coaching. Follow him on YouTube at the Donatelli EdZone or on Twitter @DTown_MrD. The post 5 Easy Brain Breaks to Do In Class appeared first on Cool Cat Teacher Blog by Vicki Davis @coolcatteacher helping educators be excellent every day. Meow! Ross Cooper, co-author of Hacking PBL, helps us get motivated to think about project-based learning differently. How do we hack project-based learning? Vicki: Happy Monday Motivation! We’re talking to Ross Cooper@RossCoops31, coauthor of Hacking Project Based Learning, about how we can get motivated to rock Project Based Learning in our classrooms. So, Ross, what’s new and different, and how can we hack Project Based Learning? Ross: I think when we talk about Project Based Learning sometimes it’s really abstract. You know, maybe we’ve heard about it, there’s a teacher down the hallway who’s doing this great job with it, and you’re like, “How the heck did that happen?” So what we tried to do in our book – and that’s the book that I co-authored with Erin Murphy, who’s now a middle school assistant principal – what we really tried to do was break it down, and as much as possible give teachers a step-by-step process in regard to how it can be done. So, rather than looking at it abstractly, we hack in by looking at the different components and focusing in on those. How do we motivate ourselves and our schools to do project-based learning that really works? Vicki: Well, you know, sometimes people say, “Oh, that’s a project,” or “Oh, that’s a project, and what are they learning?” What’s your advice about how we can get motivated to do Project Based Learning that really works? Ross: Sometimes when we think about Project Based Learning, we think about it in terms of black and white, Vicki, so it’s either we’re not doing it and we are doing it. When we look at those different components of Project Based Learning – it might be creating a culture of inquiry, explicitly teaching collaboration skills, giving effective feedback – these are all things that can take place with or without full-blown Project Based Learning, right? It’s just best practice and best learning that’s in the best interest of our students. What I have found is – and you hinted at this, Vicki — is the difference between projects and Project Based Learning. A lot of teachers already are doing projects, right? So if we just make it very clear that, “OK, you’re doing projects. Here’s where Project Based Learning is. Let’s build on top of what you’re already doing. So we go from projects to PBL. You’re being respectful of what the teacher is already doing. You’re not throwing out the baby with the bath water. You’re meeting them where they are. In short, the difference between projects and Project Based Learning (and you mentioned this) is inquiry, right? Rather than covering content, it’s just uncovering of content – which then leads to a deeper understanding. But also, with a project, it’s almost like – you know, the traditional project, it’s like the cherry on top, right? Ross: As a result of that, it’s like, “OK. Good job. Now you get to make a poster or website or a hangar mobile or whatever product it might be.” And maybe you have everybody in the classroom making the same product. Whereas if it’s Project Based Learning, you’re learning through the project. So that project in itself is the learning. It is the unit. By the time students and teachers are done with it, the learning has taken place. Vicki: Could you give me an example of a project versus Project Based Learning? Ross: The Project Based Learning experience that we talked about in the book is students building pinball machines. They learn about electricity and magnetism and force in motion while building pinball machines. So we went out to Home Depot. We got electrical circuits, we got wires, we got bulbs, we got wood. We used drills, hammers, all that great stuff. And we built pinball machines while learning about electricity and magnetism and force in motion. So, they did lots of these little mini-experiments, some of which were taken from the textbook, but because they were done within the context of that pinball machine (that authentic context) it was that much more powerful for them. That’s diving into STEM a little bit – you know Science, Technology, Engineering, and Mathematics – so rather than getting kind of… You know, sometimes you see these STEM activities. I’m going off on a little bit of a tangent here, but sometimes when you see those STEM activities, it’s like STEM in a box, right? And it’s like these step-by-step directions, and it’s “errorless,” right? “If you followed the directions, you’re going to have this great finished product.” Then the emphasis is on the product and not the process. So I think sometimes we have to be careful of those STEM in a box activities or at least reinvent them to promote inquiry. That’s an example of a Project Based Learning experience. Anything can be a project, you know, the traditional project that we’ve done. So a lot of times what I’m doing for professional development on PBL, we’ll use the brochure, the traditional travel brochure. “OK, now that we’ve learned about this state, now that we’ve researched it, we’re going to (kind of what you alluded to) we’re going to copy-paste all of this information into a brochure to show off our fancy products for like maybe Meet the Teacher Night or Open House or something like that. And really all that is – it’s information dump, right? You’re taking information from one place, you’re putting it into another, and it looks great, but really – did it promote much thought on the part of the student? Vicki: OK, what are some questions that teachers can ask themselves to kind of help themselves move from projects to Project Based Learning? When we look at our work for the upcoming school year, what should we be asking ourselves so that we can get further and better? I think we’re all shifting to where we want to help kids think and not just regurgitate, right? Ross: (agrees) I think sometimes, like even when we’re, like you hit the nail right on the head when we’re delivering this professional development. It’s like, “OK, we need to get our students to think.” Alright? And it’s like we’re not really being clear. We think we are, but we’re really not. Sometimes we have to be even more explicit. I call it, “being explicit about being explicit.” We need to just dig down deeper and be as explicit as possible to give those key strategies. About a month or so ago, I was in a teacher’s classroom. It was a science teacher. He was a great teacher. He was doing a science experiment with his students, and he said to the students, “As a result of doing this experiment, you’re going to find out X, Y, and Z.” Right? So immediately, the inquiry is sucked out of the project, it’s sucked out of the experiment, or the unit or whatever he’s doing because he’s telling students what they’re going to understand. So that’s the definition of coverage rather than uncovering the content. So sometimes it’s just the matter that those entry points in getting ready for PBL or inquiry is just shifting the order in which we do things. So rather than telling students that as a result of this experiment or unit or activity, you’re going to find this out, it’s shifting the order and putting that purposeful play first, letting the students engage in that productive struggle first, and then coming together. Vicki: They tell us to share our central questions, but it sounds like maybe, in that case, the teacher may have shared the essential answers, right? Ross: (laughs) Yeah, yeah. Exactly. I think any time you can turn ownership over to the students, it’s a great thing. So even when you’re crafting the essential questions as you get more and more comfortable with it, even when I taught fourth grade by the end of the year my students would be crafting those essential questions. They would all come up with these essential questions, and then they would plug them into a Google form, and then we would have a vote as to which one was the best for their respective unit. But I think really taking that, thinking about the order in which we do things and moving that discussion and that direct instruction to the back as far as possible is really a great thing to do. Even when we’re doing professional development with teachers, you know I always say, “No teacher said they wanted to make a shift because [insert famous researcher here] said so.” Right? You shift because you feel that it’s what’s best for your students, and then maybe the research comes after. But if you’re doing PD and you’re leading with that direct instruction or you’re leading with that research, you’re going to get a lot of boredom and teachers who probably don’t want to move forward. Vicki: So Ross, give us a 30-second pep talk about why we as teachers should shift from projects to Project Based Learning. Ross: I think when you think about all of these things that we focus on in school, there’s a school idea of “initiative fatigue,” right? We’re stuck with one initiative after the other after the other. Really everybody can be fatigued, from the administrators right down to the students. But when you think about this hard-hitting instructional approach and hard-hitting learning strategy that encompasses so much, all with this great context, it really is Project Based Learning. You’ve got the four C’s in Critical Thinking, Creativity, Collaboration, and Communication that everybody talks about. Like I said before, you have feedback, you have learning spaces, you have publishing, formative assessment, powerful mini-lessons. All these great things that are really wrapped up in one approach. Once you learn how to do it really, once you learn how to plan with a unit perspective in mind, using PBL rather than a lesson by lesson perspective, you’re never going to want to go back to the way that you taught before. This puts the students at the center of the learning, and ultimately, it’s what’s best for them. Vicki: The book is Hacking Project Based Learning. We’ll be doing an e-book giveaway, so check the Shownotes, enter to win, and share this show and comment. We all really need to be motivated to think about the difference this week between, “Are we doing just projects? Or are we truly moving to Project Based Learning?” Because the difference is remarkable. The post Get Motivated To Do Project-Based Learning Right appeared first on Cool Cat Teacher Blog by Vicki Davis @coolcatteacher helping educators be excellent every day. Meow!